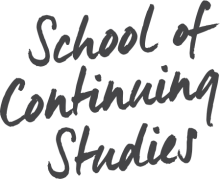 If you are currently enrolled in a program at the School of Continuing Studies, course registration is done using Minerva, McGill’s online student information system. Using Minerva is quick, simple, and secure. Upon acceptance into your program, your student record is automatically created within the Minerva system. If you are a new, independent student who has never taken a course at McGill before, you will need to register in person at Client Services. If you have already taken a course at the School, you may register for courses online using Minerva. Certain restrictions apply if you register for a Graduate or Part-Time Language program.